Ruthann Saphier passed away at home during the late evening of June 2, 2012, after a three-year battle with an aggressive strain of uterine cancer. She is survived by her sister, Brenda; her husband, Michael; her sons, David (Amy) and Adam (Jenny); and her grandchildren, Taylor, Ava and Aidan. Ruthann was born on May 29, 1943, in Nyack, N.Y. After graduating from high school in Port Washington, N.Y., Ruthann entered Jackson College for Women, part of Tufts University, where she was on the dean's list for her final two years, was nominated for a Woodrow Wilson Fellowship by the faculty of Tufts University, was elected a member of Psi Chi, the national psychology honorary society, and graduated with a bachelor's degree in science and psychology. She then went to Teachers College at Columbia University where she received a Master of Arts degree in teaching and was elected a member of Kappa Delta Pi, the honor society in education. Ruthann implemented her lifelong dream and ambition of being a teacher by teaching children at cutting-edge, progressive private schools, including the New Lincoln School in New York City, the Westland School in Los Angeles, the Heart Light School in Woodland Hills, Calif., and Crossroads School in Santa Monica, Calif. She founded and became the executive director of the Wood River Network for Youth, a positive youth development program, and led and taught others to lead Council Circle. She taught her students of all ages to be independent and self-sufficient and to solve problems in numerous ways, including through negotiation and compromise. Late in her teaching career, she became a certified parenting educator and taught parenting classes through the Blaine County School District, the Blaine County Probation Department, Head Start, the Presbyterian Church of the Big Wood, Wood River High School and St. Luke's Wood River Medical Center's Community Health Services, as well as other local groups. 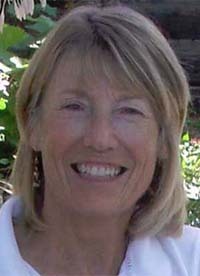 She also facilitated support groups for parents and conducted trainings for people working with youth, consulted in private sessions with parents on parenting problems, wrote a column that promoted effective and healthy parenting that appeared twice a month in the Wood River Journal and published a well-received book titled "Parenting Tips for the Strung Out Mom and Dad." Ruthann was passionate about the people she loved, which included her blood relatives, her extended family, her many friends and her students. She was passionate about her life's work as a teacher, the causes she believed in and the activities she enjoyed. She loved living in the Wood River Valley. She loved hiking in the summer in the mountains alone or with her women friends. She loved her dream group, her book group, her art groups, her meditation groups and playing the flute at Light on the Mountains Spiritual Center. She loved gardening in her back yard and cooking in her kitchen. She loved watercolor painting. She loved reading books and poetry. Ruthann, in short, loved her life. Ruthann took responsibility for her own happiness. She decided to be happy despite the insidious cancer and the brutal surgeries, radiation and chemotherapy treatments that ravaged her body. She always exercised positive choices that enabled her to live her life to the fullest, even near the end of her journey when she was in a weakened and diminished physical condition. Ruthann's buoyant personality, exuberant spirit, perennial optimism and huge heart will be missed by all who knew her. A gathering of family and friends to honor Ruthann will take place on Saturday, July 7, at 2 p.m. at St. Thomas Episcopal Church, 201 Sun Valley Rd., Sun Valley, Idaho. In lieu of flowers, please consider making donations in Ruthann's honor to Hospice & Palliative Care of the Wood River Valley, 507 First Ave. N., Ketchum, Idaho 83340. Family and friends are invited to visit www.woodriverchapel.com to share memories or leave a condolence.